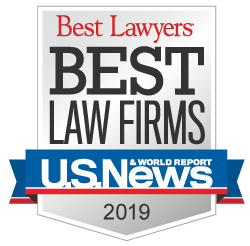 A $4.5 million construction site wrongful death settlement secured by Chicago personal injury lawyers Robert Bingle and Edward Willer of the Chicago-based Corboy & Demetrio personal injury and medical malpractice law firm was featured in the Chicago Daily Law Bulletin. On July 5, 2006, a twenty year-old union laborer employed by a Chicago construction company was digging a trench while working on a Nextel Corporation project. Another construction worker was operating a combination backhoe/end loader truck across the street on a separate construction project. As the worker operated the truck, the loader lurched and traveled backwards across the street. The laborer in the trench was hit by the truck which physically lifted him out of the trench. He was crushed to death when the truck hit a wall. The entire $4.5 million settlement will be paid by the the construction company that employed the worker who operated the truck. Construction injury lawyers, Robert Bingle and Edward Willer, have secured many multi-million dollar settlements and verdicts on behalf of their clients. They are both members of the Leading Lawyers Network and have an AV rating - the highest rating possible for an attorney - from the Martindale Hubbell Law Directory.